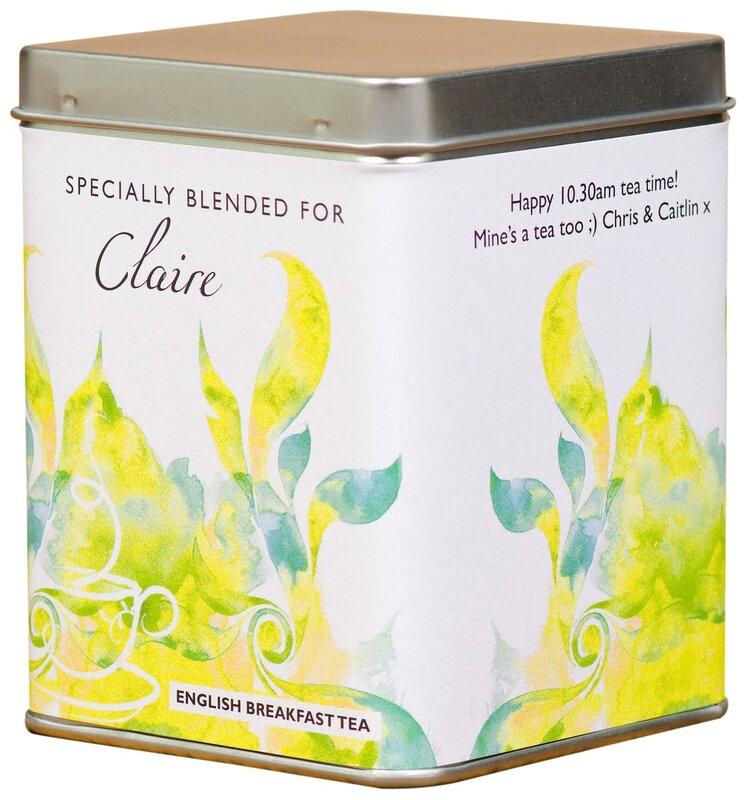 The silver coloured caddy with a bright modern design, contains refreshing, premium breakfast tea bags that will kick start their day in the best possible way. On the outside the caddy is personalised with the recipient's name and also a short message from you. A matching ceramic mug is available.